This is an interesting debate and I have yet to come to any conclusion about which is better. Right now, I do not take my laptop into the field. There are two reasons. First, I wonder about trusting the technology when the computer will be outside on a chilly night. If the battery dies and I have no backup, then I am back to entering notes and drawings on paper. Second, I have yet to see a display screen on a laptop that does not ruin my night vision by being too bright. If there is enough red plastic over the screen to darken it significantly, then the screen is too dim for my old eyes to read. I understand that having a laptop in the field gives you lots of flexibility and having all my notes and charts at hand sounds great. I just believe that right now I don't trust the system enough to rely on it. Telescopes with drive motors, and CCD cameras and computers require power and lots of it. Telescopes and computers have internal batteries but not with enough amperage to last for a very long time under high electrical loads. As we have just mentioned, a laptop operating under standard batteries will not last much longer than two hours. Your duration will be even less if you are operating in extreme cold. to operate without my car, so I purchased a simple discount automobile battery. The battery supplies 480 cold-cranking amps of DC power, which is plenty to run my scope, CCD camera and laptop all night long on one charge. The telescope draws AC power from an inverter that is supplied with DC input from the battery. The CCD has no power source of its own and the computer battery is only good for a very short period of time. That time will be even shorter if the CCD needs to draw power from the computer USB port. So I use my computer's AC power adapter and plug it into the inverter. Image acquisition in itself is also simplified. Whereas previous systems had to use frame grabbers to obtain image data, the new one simply uses the network adapter from the motherboard, making again for a much easier to replace acquisition computer should the need arise. It even allows for operation from a laptop computer. As I elaborated on in Chapter 2, if I am going out to do serious photography, I can get all my stuff out to the car in only three trips. The telescope comes first in its storage case. The tripod comes second, then the eyepiece case and personal backpack and laptop on the third trip. It all fits comfortably in the back of my Mercury Mountaineer with some room to spare after the back seat is folded out of the way. All the optical components ride in foam lined cases to protect them from the bumps and jiggles of the road. The laptop is protected by the padded case that it normally travels in. With all my stuff loaded, its time to head out. Going by the name of Osborne 1, the first machine to really be considered a portable computer (although you would need pretty big thighs to call it a laptop) was produced by Osborne Computers in 1981. Its 125-mm monochrome CRT screen was sandwiched unceremoniously between two hefty 5.25-in. 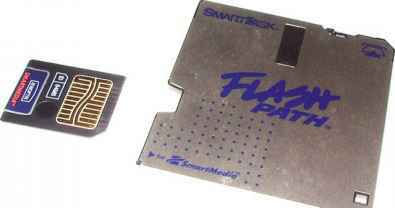 floppy drives, and the thing was provided with a modem port. Weighing 10 kg and coming with a 1,795 price tag, this sewing machine-sized computer came bundled with a collection of software, and its optional battery gave around 2 h of power. A couple of years later Radio Shack's TRS-80 Model 100 was released, a more manageable and modern-looking laptop weighing 8 kg, but with only a small low-resolution monochrome LCD display. The first true notebook-style laptop with a 4 3 LCD display appeared in 1989 in the guise of the NEC UltraLite (running the MS-DOS operating system), and later that year Apple released a competitor in the form of the first Macintosh portable. Who is still interested in paper star charts in this day of computerized planetarium mapping programs The traditional nonvirtual star atlas is dead as a doornail, right Hardly There are actually more print star atlases available now than there ever have been. Some amateurs do not own laptop computers, and not everybody who does wants to haul one out to a damp observing field. Sure, it is possible to print maps on a printer and take the hard copy onto the field, but many observers still like the convenience of a book of charts that covers the entire sky. All but one of those experiments - the Thermal Energy Storage (TES) - were controlled directly from an avionics unit attached to the Hitchhiker bridge. TES, which was designed to provide new data about the behaviour of thermal energy storage salts in microgravity, was operated by one of the crew members via a laptop computer on Columbia's aft flight deck. As NASA moved into high gear in its plans to develop and build the International Space Station, it was realised that a low-mass, low-cost and high-efficiency electrical power generation and storage system would become increasingly necessary. Do you want to be able to focus an SCT without touching the knob and introducing shakes The SCT accessory makers know you do and have been making motofocus units for years. 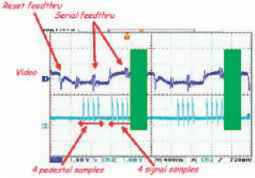 JMI (Appendix 1) has been especially noted for its quality motorized focusers for SCTs. These battery-powered motors slip over the focus knob (sometimes, the stock focus knob is removed and replaced with one included with the motofocus) and provide remote focusing via a small hand control, or, increasingly, with a laptop computer. Does the average CAT owner need one of these 150 gadgets The answer is probably not. They can be indispensable for imagers who just love the fine no-shake focus action and remote capability they provide. The CFW8 filter has given me some grief from time-to- time. This has been for a number of different reasons. 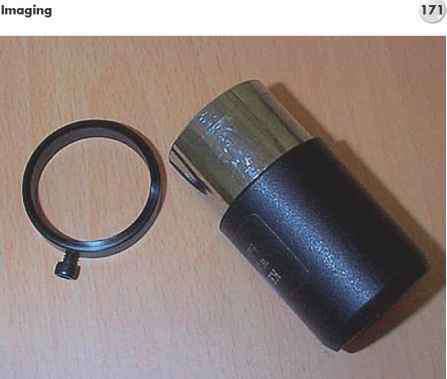 The first occasion was a sticking wheel, and the cause was a loose filter that I had not secured sufficiently tightly. The second time, sticking again, I eventually traced to the pressure on the drive shaft. This is adjustable, but the engagement needs to be exactly right. Not tight enough, and the drive will slip spasmodically too tight and the wheel can bind. After a number of attempts I managed to get it right. I well remember one starry night the wheel was working intermittently and one computer was out of order, so I went through the usual routines check connections, use a different cable, and eventually took the wheel apart looking for a physical problem. Using the laptop in the observatory the wheel worked fine. At last, inspiration I checked the parameters in Maxim, and the software had decided to change the wheel type from SBIG to Finger Lakes. Altman and Carey had their hands full with a series of carefully executed thruster burns to gradually close the gap between themselves and the telescope. Meanwhile, at the rear of Columbia's flight deck, Currie and Massimino activated and checked out the RMS arm, as their colleagues set up laptop computers and reduced the cabin air pressure from 14.7 psi to 10.2 psi in readiness for five days of back-to-back spacewalks. This last move helped to rid nitrogen from their bloodstreams before they donned their spacesuits, in order to prevent attacks of the 'bends'. 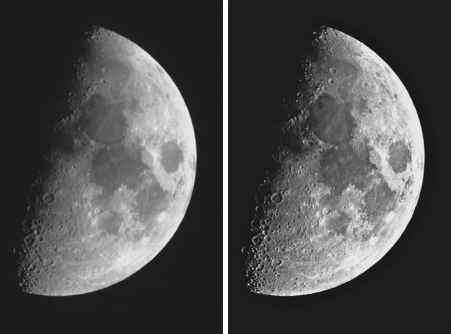 In recent years, the increased availability of CCD, digital, and web cameras at affordable prices (especially the latter) now permits more efficient light detection and image acquisition, coupled with shorter exposure times, than are achievable with ordinary film emulsions, in essence totally revolutionizing the field of planetary photography. Thus, in addition to visual observations where the trained eye of an experienced observer may recognize fine planetary detail in superb viewing conditions, the CCD chip permits permanent documentation of those same details in momentary periods of excellent seeing. 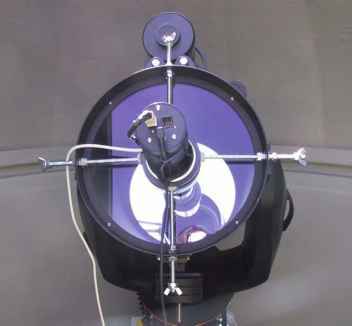 The enormous dynamic range of CCD cameras, for example, and their high sensitivity to visual and near-infrared (IR) wavelengths make them a valuable tool in lunar and planetary research. Furthermore, all of the aforementioned devices create digital information that can be stored on a laptop or desktop computer for subsequent manipulation by image processors and graphics programs. If you can afford it, bring a notebook computer along on your stargazing expedition and have it equipped with wireless Internet access. In this way, you can check out the star maps on the fly. Turn down the display brightness to a low level so that it won't degrade your night vision. 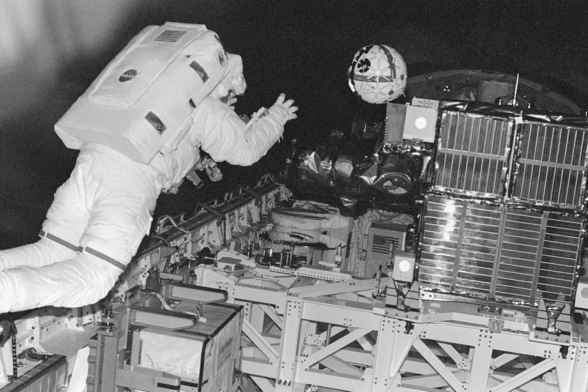 Area of the space shuttle Columbias large cargo bay, as another astronaut (Steve Lindsey) remotely controlled the robot from the shuttle's aft flight deck. During this in-orbit demonstration experiment, Astronaut Lindsey used a hand controller, two laptop computers, and a window-mounted antenna to control the free-flying robotic camera. What now The telescope is up and running, it's going to its go-tos, and it's perfectly collimated. What more could any CAT wielding astronomer want Well, it's the computer age. The CAT is a computer if it's a go-to model, but hooking it to another computer, a PC or Mac laptop, can add even more functionality and fun. The DAQ3U board also hosts 1 Gbit ethernet fast enough to read out and deliver data in real time to a pixelserver host computer, which can use a conventional ethernet interface card. We use standard internet protocols for communications. We also provide 256 Mbyte of on-board ECC memory (standard commercial laptop memory), which enables us to read two entire OTAs (50 Mpixels) and begin another exposure before dumping the data to the pixelserver. Although the Gbit ethernet bandwidth is adequate to read out an OTA within 3 seconds, we would be vulnerable to latencies on the pixelserver. 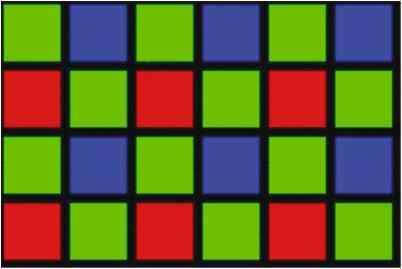 We can imagine modes in which the need to dump more than 16 bits per pixel may arise. It therefore seems prudent to provide on-board memory to maximize flexibility and robustness. Electronic Flight Bags (EFB) or the paper-less office is already a reality for some pilots. Instead of briefing from charts and maps, they access everything needed for their flight from a laptop airfield, weather and flight plan data are automatically downloaded landing charts, aircraft and operational manuals can also be automatically updated. The next generation of EFBs will be permanent installations, networked to the aircraft flight management servers the pilot will access the systems via a keyboard and mouse or touch screens. Eye and voice recognition are already in use in the latest military aircraft. CCD cameras for amateur use are made by Meade SBIG (Santa Barbara Instrument Group, 147-A Castilian Drive, Santa Barbara, CA 93117, U.S.A., http www.sbig.com) Apogee (11760 Atwood Road, 4, Auburn, CA 95603 U.S.A., http www.ccd.com) Starlight Xpress (Ascot Road, Holyport, Berkshire, SL6 3LA, U.K., http www.starlight-xpress.co.uk) and other companies. CCD cameras generally have to be connected to a laptop computer during use, but the SBIG STV includes its own controller and video screen. Modified webcams and CCD cameras, it's a necessity. What's required A laptop is the best and safest choice. It need not be the latest laptop, however, since most imaging software, unlike some planetarium software, is not demanding of computer resources. What's most needed is, as for a webcam computer, plenty of storage space. Unless the camera in use has a very small chip, many megabytes of data will be accumulated from a single evening's observing run. A minimum hard drive size of about 80 GB is desirable. Swapping my Celestron 15-mm eyepiece over for the Toucam, linked to my laptop, I launched K3CCD and instantly had an exceptionally bright almost white out image on the screen. K3CCD, from my previous experience in white light solar imaging, was an application I knew was capable of helping me to take good quality solar images. I had imaged the entire transit of Venus in 2004 using a white light solar filter and my Meade ETX90 with great success. However, I knew that after setting it the previous night for imaging the moon, my settings would need to be adjusted. K3CCD provides a superb live preview of what the camera is seeing, and it can adjust frame rates and shutter speeds (depending on the camera) from ranges of the hundredths of a second up to tenths of a second, very simply, by means of the camera's own control panel that appears as a subwindow within K3CCD itself. As you move past the beginner stage, you can do just as much computer control and image enhancement with a DSLR as with an astronomical CCD camera. Some hobbyists bring a laptop computer into the field and run their DSLR under continuous computer control. 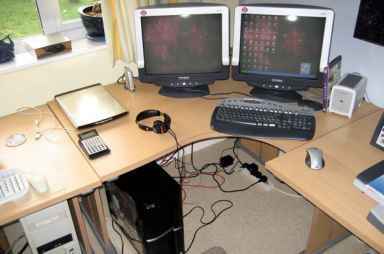 Others, including me, prefer to use the camera without a computer and do all the computer work indoors later. CCD cameras are almost universally computer driven, so you must have a laptop computer that is capable of handling the camera and whatever other applications you are using in the field. Make sure that you spend some time training your brain to use the imaging software and the computer in the dark. There is little that is more frustrating than wasting time messing with your computer while the night slips away. The keys again to success are telescope alignment, software familiarity, focus, cooling and aiming. Computerized telescopes are a testimony to the low price of powerful computers. The Celestron NexStar 5, for example, has four CPUs in an internal network. Comparable computing power would have cost millions of dollars in the 1960s and would have filled several rooms. What's more, the telescope can be connected to an external computer - typically a laptop PC - for even more brainpower. Images but I doubt the machine would handle much more than that. 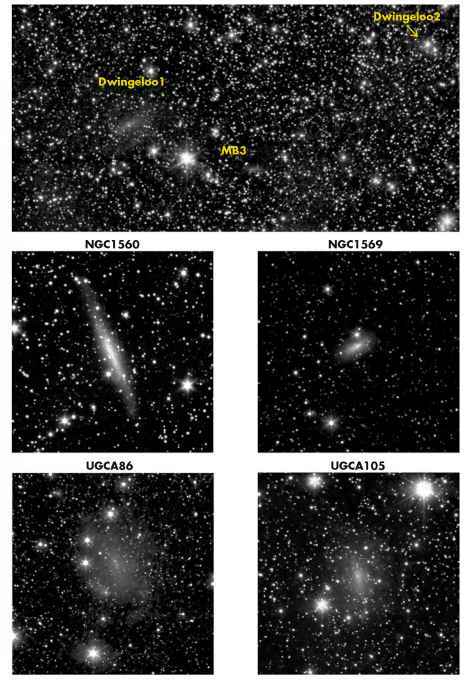 For his glorious Andromeda galaxy image I think Rob Gendler combined around 16 images Of course chips are getting ever larger and computers so much faster which makes me think that amateurs might soon put together an all-sky survey (might be tough for the guy who lands Hydra). A laptop is handy when you are tinkering in the dome by letting you observe the immediate effect of commands such as when you have a malfunctioning filter wheel and want to see exactly what is happening. I also use the laptop when carrying out my T-Point program. It is instructive to consider the electrical power requirements of various household devices to place spacecraft requirements in context. A modern PC may consume perhaps 200 W a laptop perhaps an order of magnitude less. The Viking lander ran on 90W. The Huygens probe's batteries supplied around 300W for about 5 hours. The Sojourner rover had a solar array that delivered a mere 15 W.
By aligning on more than two stars, the computer can measure non-perpendicularity, flexure, and other sources of error, then correct for them. This is the purpose of TPoint, a product of TPoint Software (http www.tpsoft.demon. co.uk, Abingdon, Oxfordshire, England). TPoint is used at large observatories but is also marketed to amateurs by Software Bisque (http www.bisque.com), integrated with their TheSky online star atlas. It runs on a personal computer (normally a laptop) connected to the telescope. Astronauts, it was recognised, were and still are subjected to a multitude of obvious and hidden stresses during spaceflight, including isolation, lack of privacy, confinement, fatigue and varying work-sleep cycles. Workers placed under similar stresses on Earth are known to suffer from degraded cognitive performance over time and the PAWS tasks were intended to identify these during the course of several long-duration Shuttle missions. On a daily basis, Columbia's crew participated in performance tests on a laptop computer, which monitored the speed and accuracy of their responses to rotated images, letter sequences, calculations, patterns and recollection of numbers. By 13 October, after a five-day cross-continental trip on top of NASA's 747 carrier aircraft, which involved two stopovers at Huntsville in Alabama and Ellington Field in Texas, she arrived at Palmdale. During the next few months, Columbia underwent 66 modifications to enhance her performance, meet new mission requirements and reduce turnaround times. Among them, she received new wiring to allow her future crews to monitor downlinked data on laptop computers, new filters in her hydrogen flow control valves to reduce the chance of contamination and efforts were made to better control structural corrosion. The following paragraphs cover building a solid foundation for a tripod, quick equatorial tripod alignment, building a micro observatory for a laptop, building a Crayford style remote control for the T-Max, and choosing the right chargecoupled device (CCD) for imaging. It has been through the steady building of a solar roadmap that I came to all the following conclusions and creations. All of them were solutions to problems that came up during several viewing sessions out in the field. Not all of them may apply to every situation, but I have found each of them to be good starting points. Traditionally, most observers have chosen to depict their subjects in regular pencil grayscales - this is in part due to the fact that colors are often subtle and difficult to distinguish, but also because it is quite obviously rather difficult to make colored pencil drawings (or renditions in pastels or paint) while seated in the dark at the telescope eyepiece. Thankfully, new technology has come to the observer's aid. Cybersketching with a portable computer allows colors to be added to an observational sketch almost as easily as it is to make a grayscale drawing (Figure 7.6). Figure 9.3. 16-inch telescope inside the observatory. A classical dome is ideal for blocking local light pollution. 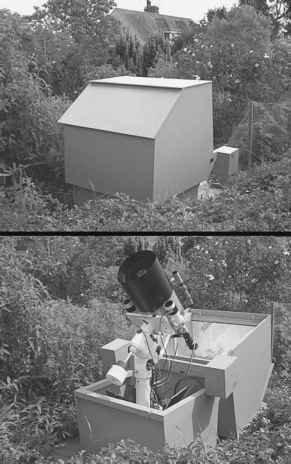 The lower computer controls the telescope while the upper laptop operates the CCD camera. Figure 9.3. 16-inch telescope inside the observatory. A classical dome is ideal for blocking local light pollution. The lower computer controls the telescope while the upper laptop operates the CCD camera. The pressure vessel cases of Ni-H2 batteries are generally cylindrical with hemispherical ends. This makes close packing difficult. In an effort to avoid the pressure containment problem while retaining the other advantages of nickel-hydrogen systems, the nickel-metal hydride battery (Ni-MH) was developed. This battery depends on the ability of some metallic hydrides to contain large amounts of hydrogen in the structure at low pressure. This allows the battery cell case to be rectangular like most other batteries, allowing for more efficient packing. Ni-MH batteries are in very common commercial use in cell phones, laptop computers, etc. Unfortunately, space applications of Ni-MH batteries have been few, primarily because of the limited cycle life so far demonstrated for this technology. ''We don't want anything to inadvertently hit a person or any part of the Shuttle ,'' added Kregel before the flight. ''The likelihood of damage is very minimal, but our plan is to not let that happen. If it is really out of control, we would just fly Columbia out of the way.'' The free-flyer was designed to move itself using a system of 12 tiny cold-gas thrusters, operated by Lindsey via a joystick, antenna and two laptop computers from the aft flight deck. Every telescope has accessories such as eyepieces, solar filters, camera attachments, etc. For my observatory, I purchased a seven-drawer office chest on wheels. This serves as a mobile platform that not only stores all of my telescope and camera accessories but also acts as a desk for my laptop when I connect it to the telescope. I simply roll the desk near the telescope, pull up my folding chair, and start the imaging process. At the conclusion of an imaging session, the desk is rolled back to its parking location.
'' Sprites are kind of 'ghostie lightning' that are going from above thunderstorms up to the ionosphere , up to about 100 kilometres,'' explained Ramon. ''These phenomena are pretty new for the scientists and our camera is actually the best way to monitor and try to catch these sprites.'' It would mark the first time that observations of this nature had been conducted simultaneously from spacecraft-based, aircraft-based and ground-based sensors. Typically, Ramon would operate the camera from a laptop computer, watching images on a television-type display on Columbia's aft flight deck. With the advent of 'on board entertainment PCs' there's a temptation to use a desktop or miniaturised desktop computer for the job. That's fine when you are running on mains or generator power, but running off an inverter can cause unwanted shutdowns and I wouldn't recommend it when you are using it for navigation. I believe that a laptop PC is a better bet. It can be run from a smaller inverter or a 12 volts adaptor, but should always be able to fall back on its internal battery if the external power fails. The hard drive in a laptop will be more robust that a desktop version and the cost of a 'ruggedised' laptop is prohibitive. Once you have all this equipment assembled, you simply install the software as directed (webcam and Registax), carry out some trials indoors (with the webcam lens in place) then connect the webcam and adaptor to telescope and start experimenting. A laptop is useful, as is a separate telescope to find the object. I would also strongly advice experimenting on the Moon first. Using a laptop computer in my observatory means that for processing I have to get all the files, i.e., images and calibration frames, downloaded into my desktop computer. For this I use an ethernet network, which transfers the files in just a few minutes. When they have been backed up to CDROM, they are deleted from the laptop. A celestial globe and a copy of Adriaan Metius' book Institutiones Astronomiae Geographicae feature in Johannes Vermeer's painting The Astronomer (1668). 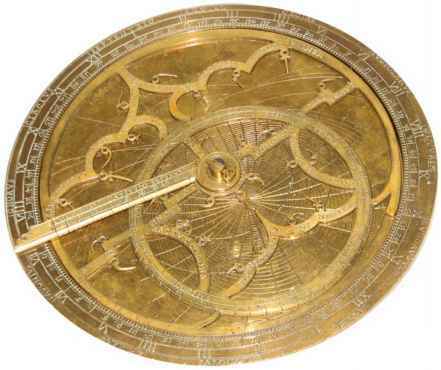 The book is open at Chapter Three, where it is stated that along with knowledge of geometry and the aid of mechanical instruments, there is a recommendation for 'inspiration from God' for astronomical research. Nowadays many amateurs echo this sentiment by praying that the battery on their laptop or PDA holds out during a night's observing session. 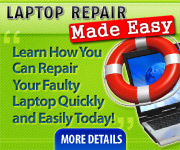 To be honest there is no free download for Laptop Repair Made Easy. You have to pay for it, just as you have to pay for a car, or for a pair of shoes, or to have your house painted.